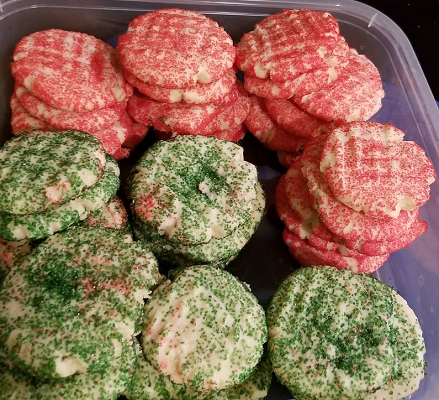 These are just regular sugar cookies, not in shapes but still really delicious. baking soda, cream of tartar, salt and flour. 12 minutes. Makes about 4 dozen cookies.